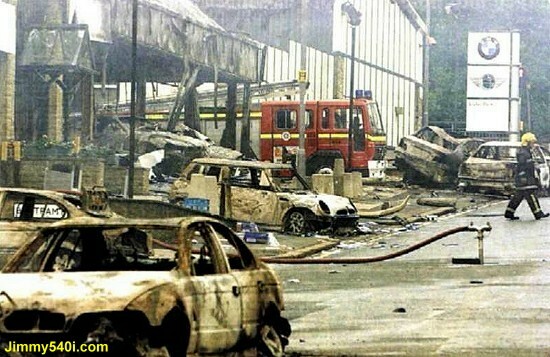 THE BMW NIGHTMARE WEBPAGE - VIEW THE EXISTENCE OF BMW DISASTER!! BMW Nightmare Qualification: The tatoo. Verdict: Remeber target #53 ~ the BMW "FIREBIRD" edition? Meet #101 ~ the new BMW "DRAGON BALL Z" edition! BMW Nightmare Qualification: Sometimes I wonder what the hell are those Hamann designers thinking? Verdict: Hey! You are missing a Bazooka! 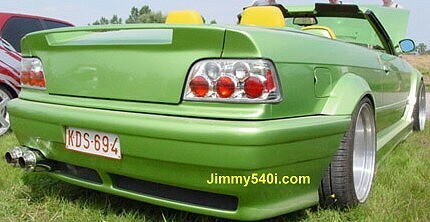 BMW Nightmare Qualification: The lovely modifications. Verdict: A gorgeous VCR cassette player! BMW Nightmare Qualification: Color + rear wing. 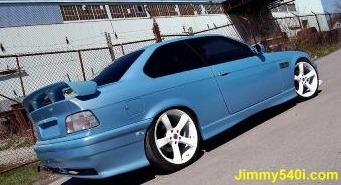 Verdict: Honey, I've Smurfed my BMW! 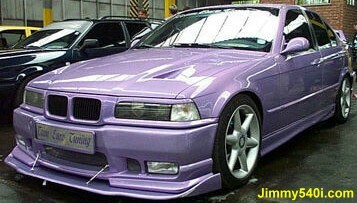 BMW Nightmare Qualification: Custom Color & Front Spolier. Verdict: Another delicious BMW Eggplant. Stir or deep fry? Verdict: Crashed his 1st generation M3, going buy a new one. Verdict: Crashed his 2nd generation M3, going to buy a new one. Verdict: Crashed his 3rd genration M3, going to buy a new one. Verdict: Finally he bought the 4th genration M3, still can't drive. 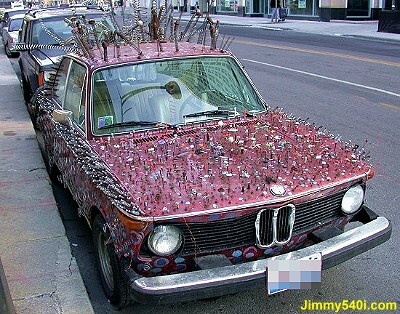 BMW Nightmare Qualification: The feathers. Verdict: He then turns into a huge peacock and lives happily ever after. BMW Nightmare Qualification: He's got the headlights of BMW 5-Series (e39), the hood of BMW X-5 (E53), the front grills of the BMW 3-Series (E46) and the BMW Roundel emblem. Verdict: Homie sure knows how to Keepin' it Real! BMW Nightmare Qualification: There's never enough mods. Verdict: Imagine yourself driving this baby. Verdict: I would like to thank the owner of this BMW who helps the growth of The "BMW NIGHTMARE Webpage"
Verdict: Leads to another piece of Junk. 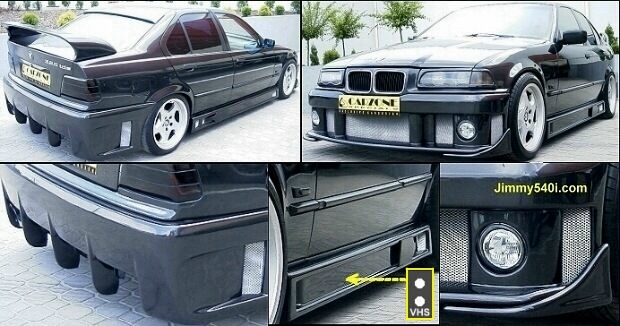 BMW Nightmare Qualification: Body kits & Mods. Verdict: A Top-less BMW Nightmare! BMW Nightmare Qualification: More body kits and mods. Verdict: Are you related with Target # 116? BMW Nightmare Qualification: what else is there?! Verdict: These convertible boys are getting better and better! 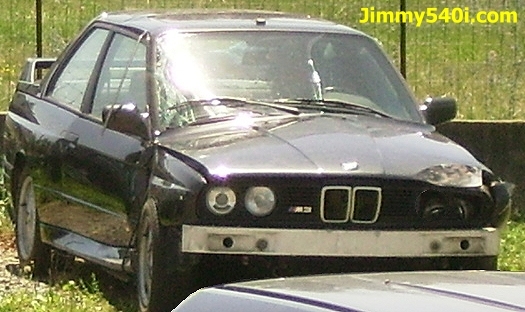 Verdict: A true BMW Nightmare.